Chag Sameach to all of my Jewish friends and family, as we continue our careful preparations for Pesach! May we courageously emerge into the light of freedom, moving from the contained comfort of the "known" into the great expanse of the "unknown” with faith in what we cannot see, but feel with each breath of awareness. May all beings one day be safe and free to sit and pray, tell stories and eat until their bellies are full and their hearts overflowing with joy; celebrating families gathered, generations remembered, miracles witnessed…like the blossoming of a flower after a long dark winter. "There is no freedom without awe." The link above will take you back to last year's Pesach post, in which we journeyed to be with our large family in PA and I shared some thoughts about awe. This year we will celebrate here at home in NH with a few friends, a small gathering for the First Seder...and then through the "miracle" of the internet, Skype ourselves into the Second Seder with our family in PA! I wish you a wonderful celebration with your family :o) We're gearing up for Easter at work and I am looking forward to our family dinner next Sunday! Isn't Skype marvelous? It makes it so much easier to 'get together', it was a lifesaver for my Sweetheart and I while he was in Toronto for two years. You have created a freedom through your writing unlike any freedoms I have ever seen or experienced, Laura. I now carry great courage to find this freedom first within, so that I am go forth and help others to find it, too. I'm going to do a Passover post myself on Monday about the only Passover seder I've ever attended. My shadows, hope you can come and see. Have a blessed Sunday! Chag sameach to you and yours and thanks for these awe-some words of reminder. Wow....incredibly beautiful in color, clarity and just filled with Springtime. Your posts are always so comforting. Hope you're having a beautiful day, Laura. We've got snow this morning...the crocus have shrivelled in protest! Beautiful color, and lovely post. your photos are amazing. I wish you a most peaceful week Laura. Have a lovely celebration. Some beautiful trees you've seen. Such vibrant colors in these and you've captured their essence perfectly. Such beautiful pictures. The flowers are wonderful. 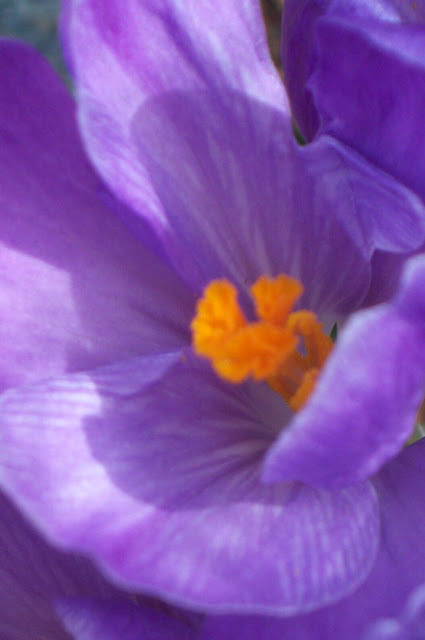 Gorgeous color in those crocus images Laura! Your crocus are works of art. Beautiful. I know you will enjoy the celebration of the season with family near and far. Blessings to you, Laura. Awesome color, I love it! That color is amazing! Love these, Laura. 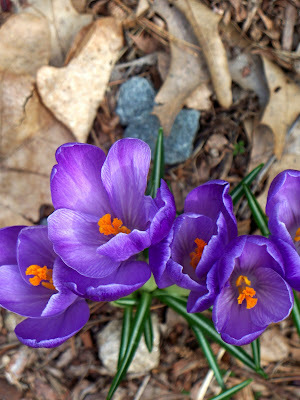 I love the image of the crocus with Pesach - a kind of rebirth, with that orange filament coming right at us. Blessings to you and your family Laura. I know your celebration will be filled with the love and beauty you so graciously share with us here! love, love, love!!! May blessings of abundance fill your day, your hearts, your plates! I love this post, Laura, I wish I could be there myself. En-JOY! 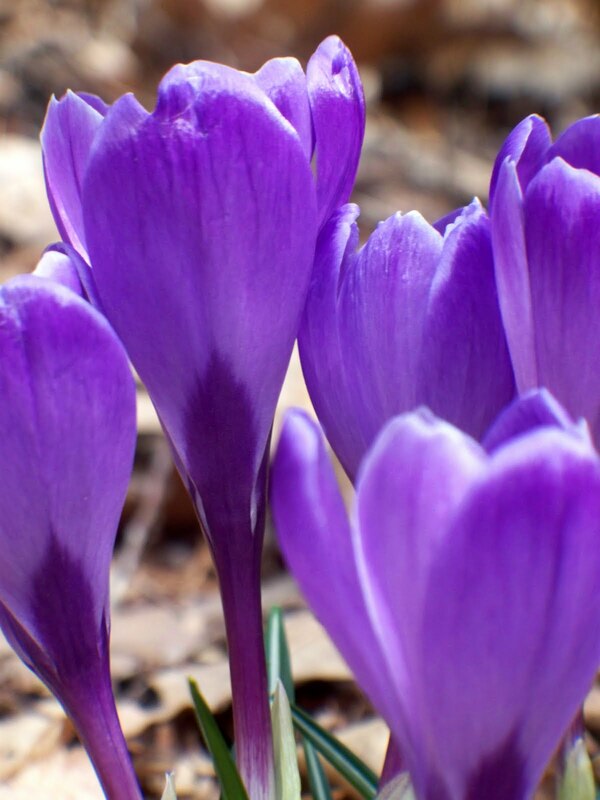 I love this color of crocus! Beautiful to see, and have a Happy Easter.. The flowers are beautiful. Nice post! The crocus say spring just as the seder does. May you have a blessed Pesach. Beautiful photos, symbolic of spring. Beautiful colors, pure delicacy, a deliciously exquisite beauty. Excellent texture of these majestic flowers. Lovely blooms Laura! The second one looks like a painting. this is precious--such beauty- and yes, may we pray and see miracles from our faith TOGETHER. i honor you and all beings. 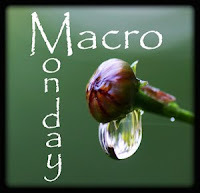 Lovely macros. Happy Passover to you and your family. "May we courageously emerge into the light of freedom, moving from the contained comfort of the "known" into the great expanse of the "unknown” with faith in what we cannot see, but feel with each breath of awareness." Blessed Passover to you and your family, dear one. Beautiful words and images, Laura. Beautiful flowers. They made me smile just to look at them. Chag Sameach. I'll admit I had to look up what that meant. I don't know if the site I found was accurate but it said the literal translation is joyful festival. I love that! What beautiful quotes and photos. I see hearts all over ... thank you so much for linking with Guest Heart Thursday! You are such a wonderful inspiration to me. I can't say enough how much. I always love to see the rich vibrant colors of the crocuses, they are beautiful signs of spring. I hope you and your family are having a blessed celebration this Passover week. Thank you for a beautiful, prayerful post. How wonderful to have hearts in every photo!